← Is Boat Captain Responsible for Illegal Acts of Passengers? Answer: Yes. 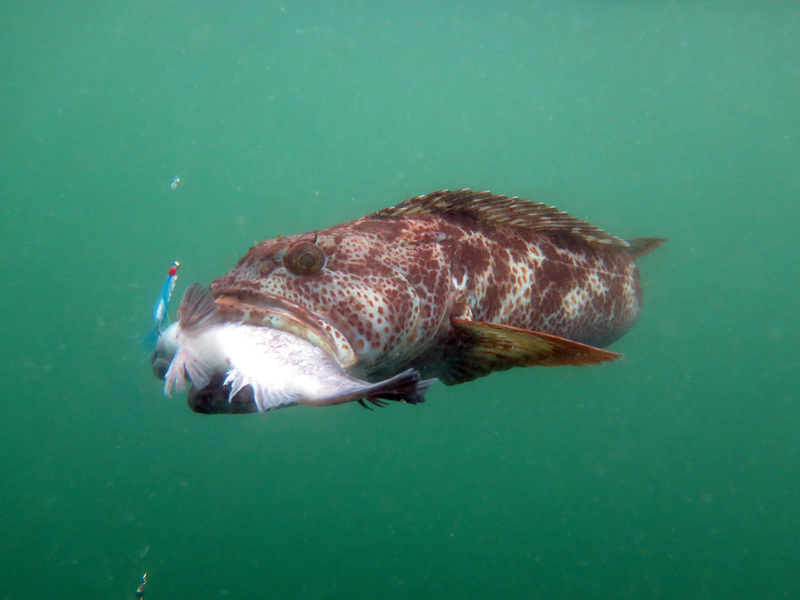 The take of “hitchhiking” lingcod with a gaff is legal as long as the fish is of legal size. Gaff hooks cannot be used to take or assist in landing any finfish shorter than the minimum sizes limit. Gaffs also cannot be used to take salmon, steelhead, sturgeon or striped bass. What does new mandatory deer hunt reporting mean for hunters? Answer: The reporting regulation did nothing to change validation requirements. Hunters have always been allowed to transport deer from the kill site to where it’s going to be validated and the tag must still be validated. Many folks are authorized to validate deer tags (see the current California Mammal Hunting Regulations booklet, pp. 2-13 for full list), but if one of those people are not available, the online reporting system will provide a number to at least prove that the tag has been reported. According to CDFW Wildlife Programs Manager Craig Stowers, this is a harvest report (not a “validation report”). Successful deer hunters have always been required to report their take. However, due to hunter failure to report, tags picked up in the field and never sent in for processing, or even losses in the mail, we know darn well that we don’t get all the successful take reports. Harvest information is an important component of population estimates, so you are partially correct in that this information is used to set tag quotas. California’s deer populations are stable, but given the high demand for tags, it is highly likely we will see more zones go to draws in the future. There is no system we could design and implement that will allow deer hunters to get any tag they want, whenever they want. Here’s one example of how the harvest report system could help deer hunters: calculations of the hunter success ratios that so many hunters seem to use to make their hunt selections. Many hunters get tags they don’t use, but we used to include those hunters in the success calculations. This reporting system gives us a handle on that so we can provide tighter, better information than we ever have before. Two anglers sharing one rod? Answer: This would be legal, but CDFW recommends that each angler have their own bags or stringers for the fish they catch in order to keep them separate. It is not legal for one person to catch their limit and then to continue fishing to help their friend get their limit. If each person keeps their own fish separate, there will be no confusion if asked by a warden to display the fish they’ve caught. Eotech or red dot sights? Answer: As long as the sight does not emit a directional beam of light, then it may be used (Fish and Game Code, section 2005). The problem comes when a light is emitted out away from the rifle or bow sight to give the hunter what some would consider an unfair advantage over the game. A light might also substantially contribute to hunting before or after legal hours. This entry was posted in Bag Limits/ Possession, Deer Hunting, Finfish, Freshwater Fishing, Licensing/Permits/Stamps/Report Cards, Lines/Rods/Equipment, Methods Of Take, Methods Of Take, Regulations, Tackle, Uncategorized and tagged big game hunting, deer hunting, fishing tackle, hunting equipment, Licenses, ocean fishing, regulations, report cards. Bookmark the permalink.